Well, is this the best way to protect oneself from the bad experience of a bogus agent? There is a saying 'don't throw away the baby with the bathwater'- after washing the baby and the water gets dirty, don't throw both the dirty water and the baby together. Remove the baby from the dirty water and then pour out the dirty water. If you can, pour in fresh, warm and clean water and continue bathing the baby. This illustration is showing us that when you experience a bad situation, learn to distinguish the good lessons from the bad. Keep the good lessons. Learn from the bad. To avoid qualified, experienced and ZIEA registered estate agents because of a bad experience with a bogus agent is to throw away the good together with the bad. 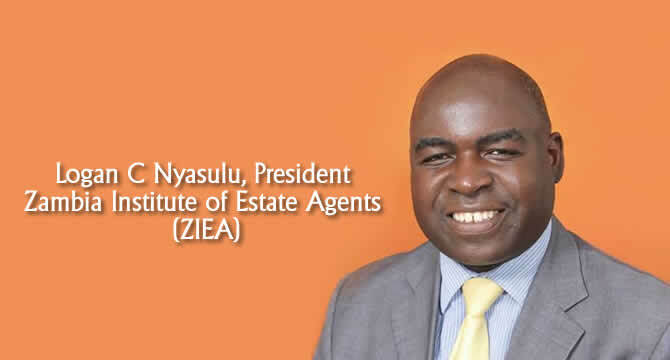 There are more than 350 ZIEA registered estate agents in Zambia spread across various towns. These agents are qualified, experienced and operate strictly according to the professional parameters expected of them. To avoid using these because of a bad experience with a bogus agent is to deny oneself the opportunity to enjoy the real estate services of tried and tested agents. To avoid registered estate agents because of a bad experience with a bogus agent is as bad as avoiding qualified doctors because of a bad experience with a bogus medical doctor, or avoiding genuine police officers because of a bad experience with a bogus cop. Experiences with bogus 'professionals' should in fact be the motivation for us to seek out genuine professionals. The very fact that we fell prey to a bogus agent must in itself motivate us to take care, and only deal with properly qualified professionals. Of course there are some who avoid using an estate agent because of financial considerations. They want to avoid spending any money on an agent. Well, while there is nothing wrong with that, most people avoid using an agent and find themselves spending a lot of time doing the agent’s work on their own, often at the expense of other things they could be doing. Worse still others make critical mistakes as they try to do things on their own which later result in even higher costs than they were trying to avoid by not engaging an estate agent. There is another reason why it's a great idea to use a registered estate agent- you transfer the risk of getting a toxic tenant with all the challenges that could come with this to a professional who is more qualified and experienced to deal with these kinds of risks better than you are. This is what you would be paying for. The registered estate agent may also give you other useful market information that may enable you to make a better decision in relation to leasing or selling your property. Lastly, and probably more importantly, there is a law enacted by our legislature called the Estate Agents Act No. 21 of 2000 specifically to provide and regulate estate agency in Zambia. The laws of Zambia have a specific law for estate agency and related matters. This is one of the most compelling reasons why it is wrong to use the phrase 'No Agents'. This law has many important provisions including the fact that no one is allowed to conduct estate agency unless such a person is registered by the Zambia Institute of Estate Agents (ZIEA). A decision by a landlord not to use an estate agent SHOULD NOT be a decision to denounce a professional service created by the laws of the land. Just like a decision by an individual not to use a lawyer should not be an excuse for that person to include in their advert the phrase 'No Lawyers'. Such a person can quietly go to court, represent himself or herself without announcing 'No Lawyers' or denouncing the law that provides for lawyers in Zambia. The phrase 'No Agents' or 'No Estate Agents' is inimical to a law in Zambia- the Estate Agents Act No. 21 of 2000. It is a good law and like many other laws in this country it was enacted to ensure that Zambians and other citizens within our borders can enjoy the benefits of using professionals in matters to do with their properties. If you choose not to use an estate agent, please avoid any action that may inadvertently disparage the noble estate agency profession. If you have already had a bad experience with a bogus agent, report these to the ZIEA or the Zambia Police as these people are breaking the law of the land.